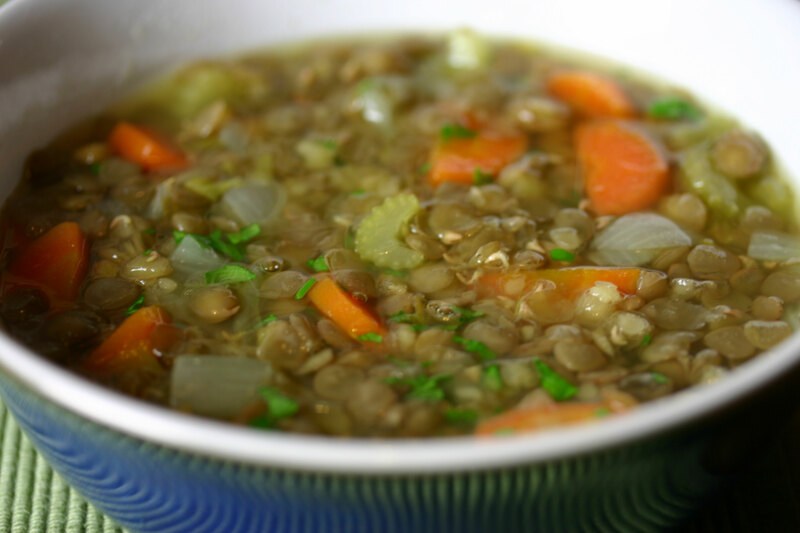 After a couple of weeks of indulging myself with cocktails and Christmas baking, I find myself craving things like this green lentil soup for supper. Like many young girls, I converted to vegetarianism in my teens. This wasn’t a straightforward thing to do in northern Canada in those days. The supermarkets had only recently started selling yogurt – tofu, hummus, and soy mince had yet to arrive. There were no veggie burgers, sausages or nut cutlets in the freezer section, and Quorn hadn’t been invented.